Fathers day 2018 is tomorrow (Sunday June 17) and falls right in the middle of Pride month. And so what better time to use a more gender neutral name to ensure that it is inclusive of the wider definition of “family”. Henceforth, it shall now be known as “Parent 2 day”. Similarly, Mother’s day shall also be renamed as “Parent 1 day”. 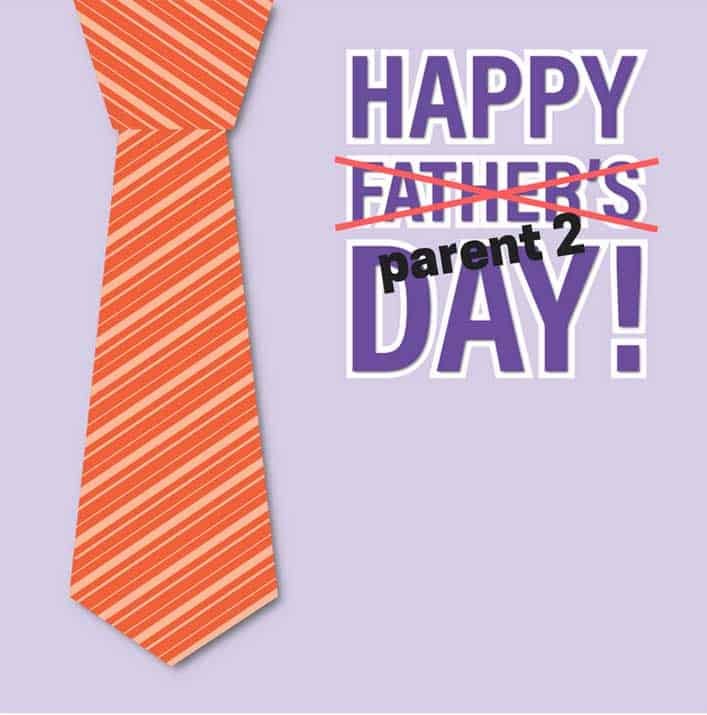 Legislation is currently going through to outlaw the sale of father’s day cards and merchandise in favour of more gender neutral gifts.